In summertime, I try my best to break away from jeans. But shorts aren't always my jam. They ride up, they sometimes show off things I'd rather not show off, and I just generally find pants more comfortable. With that in mind, I keep an eye out for lighter, softer pants that don't look like pajamas! It's a hard balance, and patterns on pants can often be a bit overbearing. I think these ones from Gypsan are really lovely and look super duper comfortable. 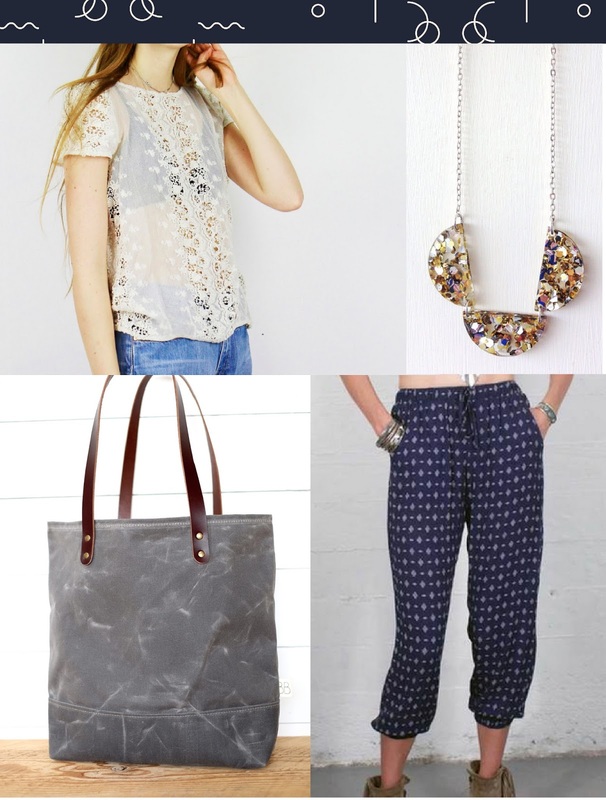 I would pair patterned pants with a simple top, with a little lace detailing, a neutral bag, and a little glitzy necklace just to add a little pizzazz to an otherwise very neutral outfit! Is there anything on your wishlist lately?